Different colours. Different designs. Definitely Us. Assam is a state located in NorthEast India where the mighty Brahmaputra flows amidst. The native people are called Assamese. 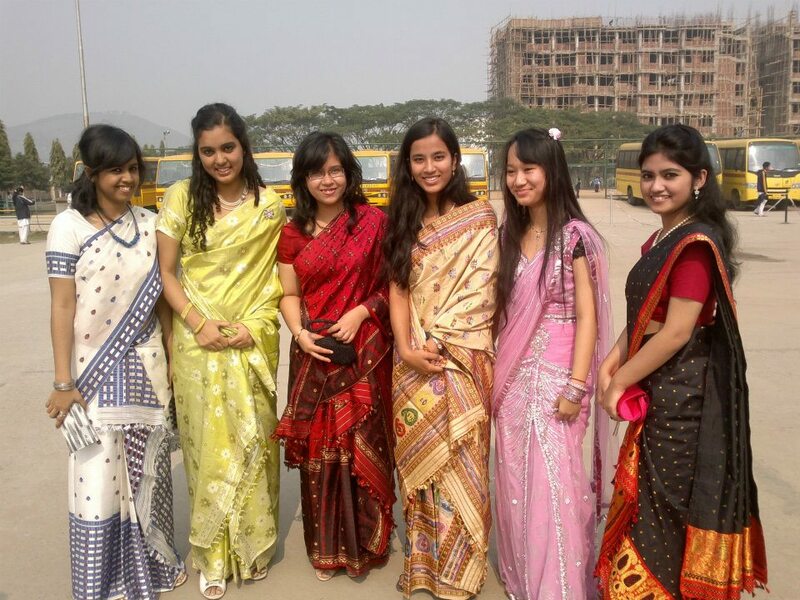 Mekhela chador (Assamese : মেখেলা চাদৰ) is the traditional Assamese dress worn by women. 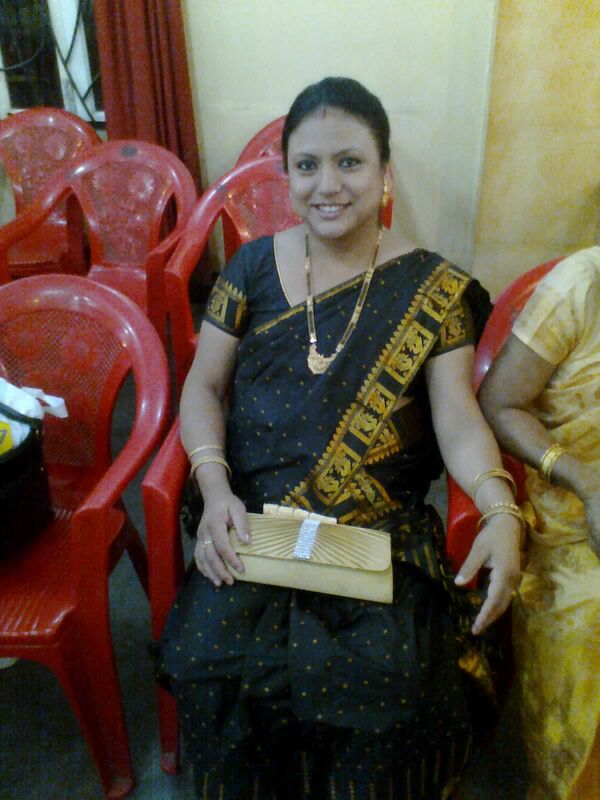 Saree is the Indian dress but mekhela chador belongs exclusively to the Assamese masses. A saree is a single piece of cloth draped around the body. Mekhela has a different approach. There are two main pieces of cloth that are swathe around the body. The bottom and the top portion. The bottom portion, draped from the waist downwards is called the mekhela. It is in the form of a very wide cylinder that is folded into pleats to fit around the waist and tucked in. The top portion is a long length of cloth that has one end tucked into the upper portion of the Mekhela and the rest draped over and around the rest of the body. Invariably there is a blouse that is worn underneath the top half of the body. The most breathtaking feature about a mekhela chador is its delicate designs and colours. When there is a marriage ceremony, the groom’s house is supposed to offer clothes to the bride. Every female in the house has a great time choosing the mekhela chador from the blooming handloom industry of the state (just like every bride frantically shops for that ‘white dress’ for her wedding). Before the designs used to be all traditional but recently with the changing taste of people, a variety of patterns have been introduced. The bride looks lovely in her attire. 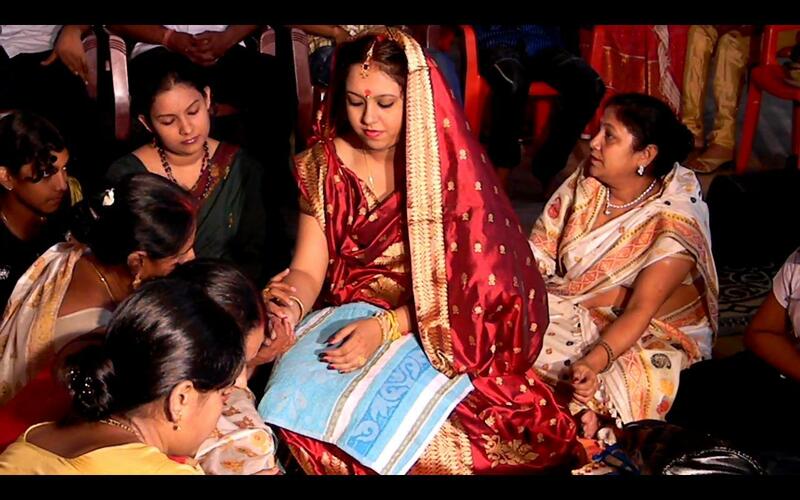 The craze for mekhela chador is especially seen during the Sarawati Puja (festival for the goddess of learning) when young girls adorn themselves with the attire and attend the festival. 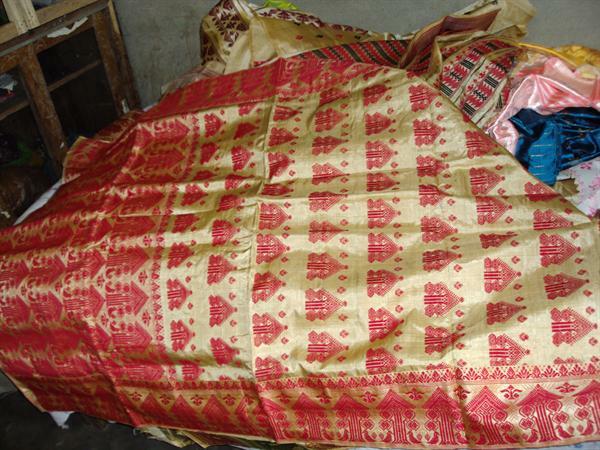 The weaving materials used are cotton, muga (a type of silk endemic to Assam), eri (silk produced by silkworms that feed on castor leaves) and pat (silk produced by silkworms that feed on mulberry). 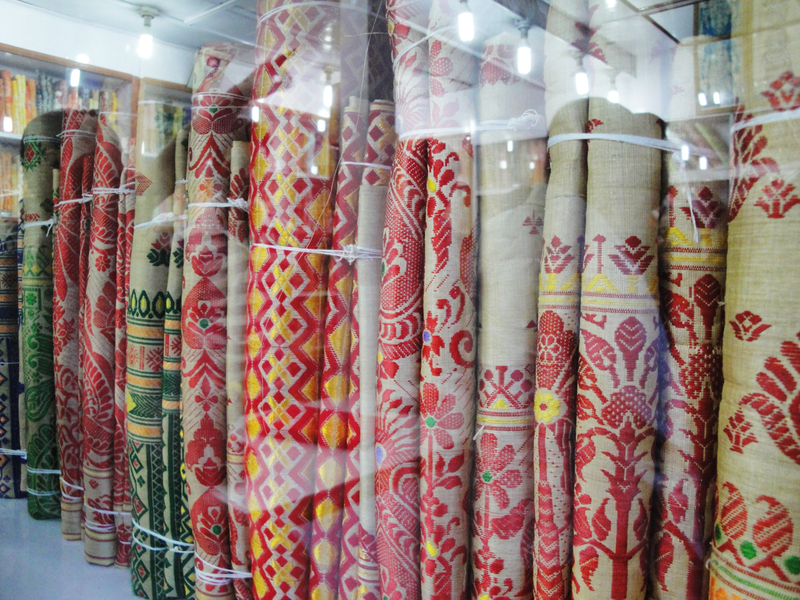 Assam’s handloom industry is ever growing as this traditional dress can never grow old. In fact, there is higher demand with increasing values to culture and new export market. And now it is time that I get my first mekhela chador. It is going to be hell of a time choosing a good one in the store. So when you visit Assam be sure to try one on. This article is a blend of culture and elegance. The beauty of the traditional attire of Assam has been elaborately described and the mention of intricate patterns has made the article more special. A fine piece of work!!!!! Thanks! This is to make the world aware of how great an attire of Assam can be. This stands out as the earliest time I have commented the following and I ought to say you give genuine, and top quality information for bloggers! Wonderful job. oh! thank you so much….and you can check out more about Assam if you like in google. theres plenty of information. Thank You dear!! It should be like that! big portion of other folks will leave out your excellent writing because of this problem.